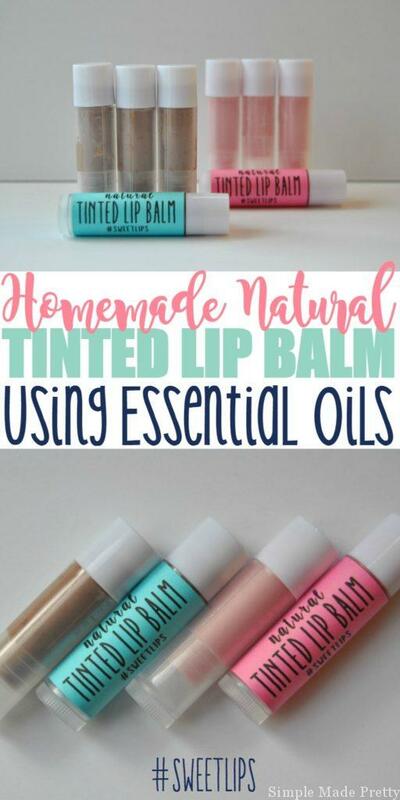 My daughter and I love using tinted lip balm so I decided to make our own (since I’m an essential oils addict, it only made sense to make our own tinted lip balm!). 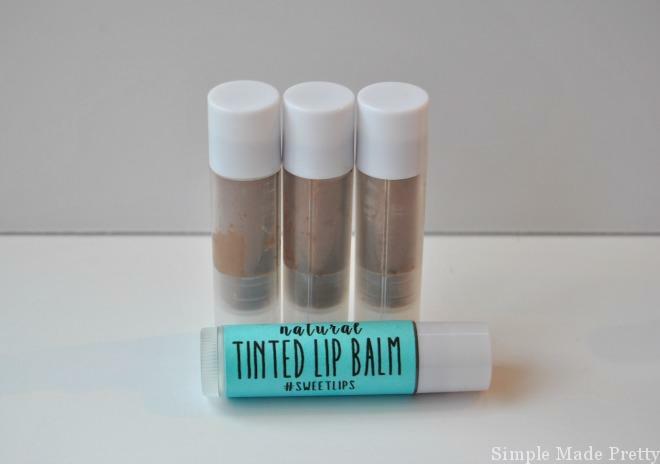 This DIY All-Natural Tinted Lip Balm Every Girl Should Know About will change the way you look at using toxic, chemical-filled tinted lip balm going forward. If you take the time to look at the ingredients on some of your beauty products, I bet you will find ingredients that aren’t natural. It makes my skin crawl that everyday bath and beauty products are loaded with chemicals (also that they are so expensive to buy when you can easily make them at home for dirt cheap!). I’m sharing this recipe because I believe everyone should try using essential oils. I used to be one of those people that thought essential oils were a joke (I thought they were used to make things smell good and that’s about it). 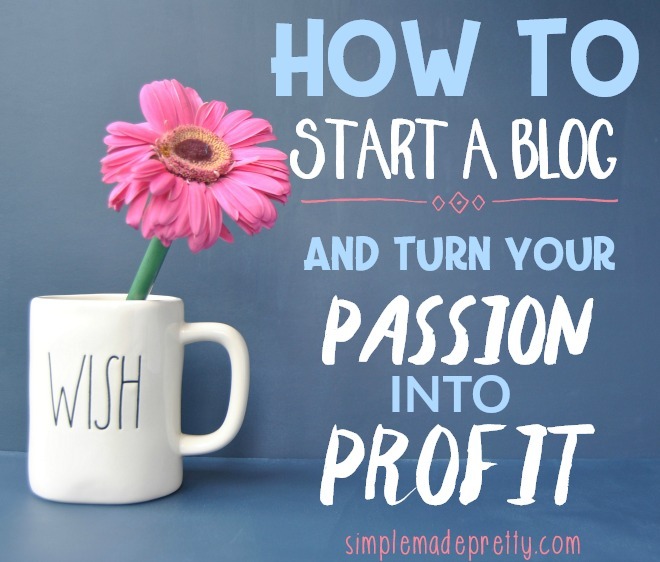 I didn’t know they support health and wellness or would change the way I use many pre-made products going forward. My friend and Young Living essential oils rep, Devin, introduced me to essential oils in Spring of 2016. I purchased an essential oils starter kit, even though I was still a non-believer of the benefits, but I was curious if all the good things everyone says about them was true. One month after investing in my first essential oils starter kit, my littles got the dreaded 24-hour stomach bug. My son started vomiting in the middle of the night and I emailed Devin (she is in a different time zone than me so she was still awake, thank goodness). She suggested diffusing certain oils and a roller ball combination to rub on his belly and bottom of his feet. I used the methods she suggested (and only those methods) and sure enough, my son stopped vomiting 4 hours later. He woke up the next morning energetic like nothing happened! But I was still skeptical…I know, I know. I still wondered if it was just a fluke. Then my daughter got sick a week later (while we were on vacation!) but I was smart enough to bring my oils with me (using this handy little travel bag). I used the same methods I did for my son and sure enough, 4 hours after the vomiting started, she was better. Another way that I found essential oils to have amazing support was by using essential oils to keep the bugs away. My daughter is a magnet for mosquitos (she’s always had this problem since birth) mosquitoes just love to bite her so much and she always had a slight reaction to mosquito bites. Her skin would swell up and it would take days for the swelling to go down. In the past, we tried many different chemical bug sprays and the only chemical spray that worked on her was OFF! Deep Woods – which I hated using because it had 25% DEET (can you believe they make a spray with 40% DEET???). I cringed having to spray her with that stuff, loaded with harmful chemicals. If you aren’t familiar with products with DEET, just to give you an idea of the harmful chemicals, the bug spray we used on our daughter has warnings that its contents are “HAZARDOUS TO HUMANS” and you must “wash clothing before wearing again” if sprayed on/near clothes. The essential oils spray that we used all summer long provided another validation that using essential oils are really beneficial. I used handmade, all-natural essential oil bug spray on my daughter all summer long and she did not have ONE bug bite. We traveled to lots of places heavy with mosquitos too (Rotan Honduras, Mexico, and Florida)! It was another amazing AH-HA moment. So this is what all these essential oil users were talking about! I use essential oils for many preventive measures, including dietary, aromatic, supporting a healthy immune function, creating a soothing and relaxing atmosphere, and improving appearance for healthy looking skin. I also use it for all of my cleaning products (be sure to check out this Chemical-Free Car Wash Kit and this post with 15 Cleaning Products You Don’t Need (and what to use instead). This homemade All-Natural Tinted Lip Balm Using Essential Oils is quick and easy to make (even if you are just starting to use essential oils and want to make your own natural products). 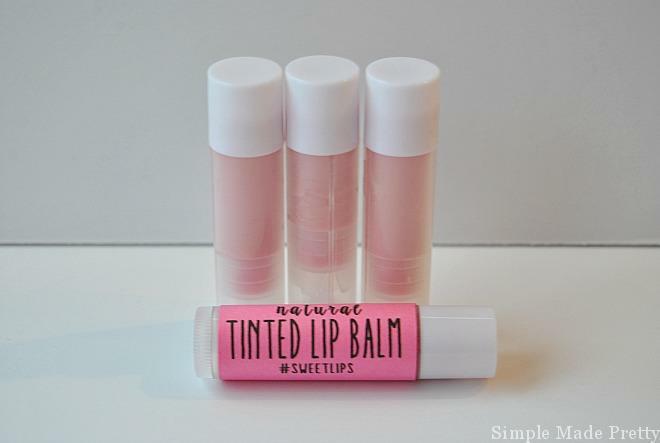 I made my tinted lip balm using lip balm tubes but you can also use lip balm tins if that’s your preference. 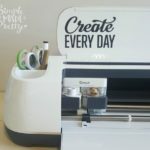 The printable labels can be printed on any color cardstock. I used pink and teal cardstock as shown below. The printable labels with fun hashtags are included in my eBook, 50 All-Natural Skin Care Solutions Using Essential Oils. #SWEETLIPS on the label! 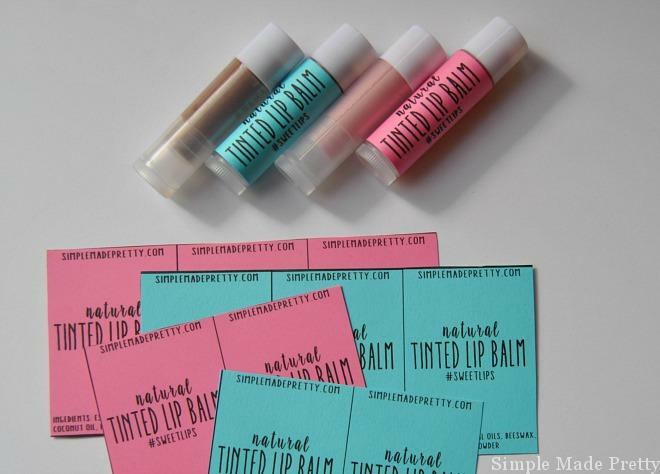 Right now you can get the Tinted Lip Balm labels for FREE in my mini eBook, 5 All-Natural Skin Care Solutions Using Essential Oils. The free mini eBook includes recipes and printable labels compiled into one easy-to-read resource with recipes for Natural Bubble Bath, Moisturizing Shampoo, Tinted Lip Balm, Dry-Shampoo Spray, and Wrinkle-Reducing Face Cream. 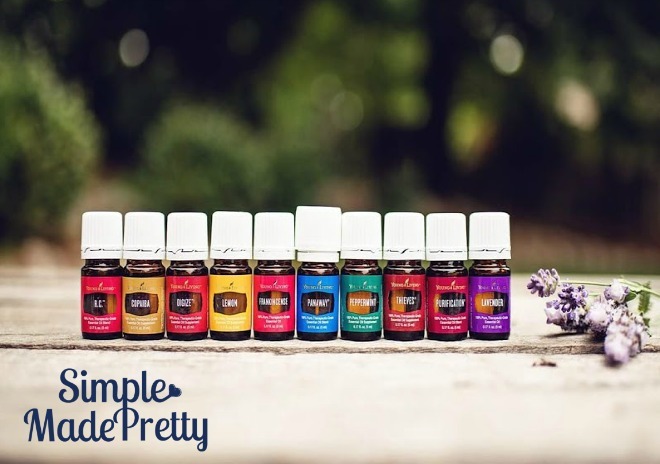 Get everything you need to make the most out of your essential oils with these 15 Incredibly Useful Supplies for Your Essential Oils. 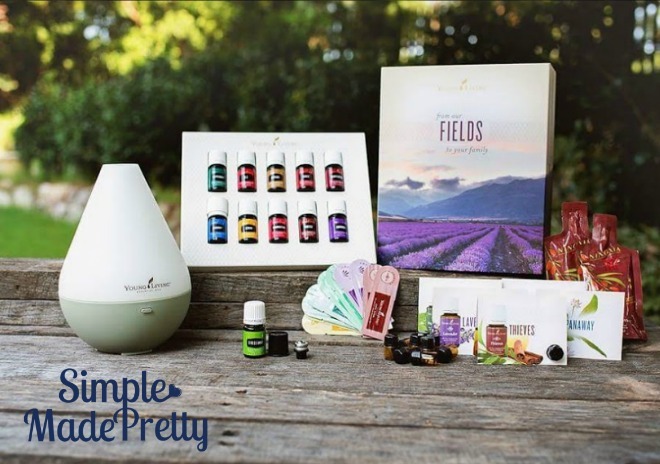 Get a Young Living Essential Oils Starter Kit here and message me (melanie@simplemadepretty.com) for more info on Young Living! Melt oil and beeswax together in a glass bowl in the microwave until liquefied. Add essential oils to the mix. Fill lip balm containers (use a baby medicine syringe or roller ball syringe). Tip: try to be fast while filling the containers. You don’t want the mixture to solidify while you are filling the containers ? 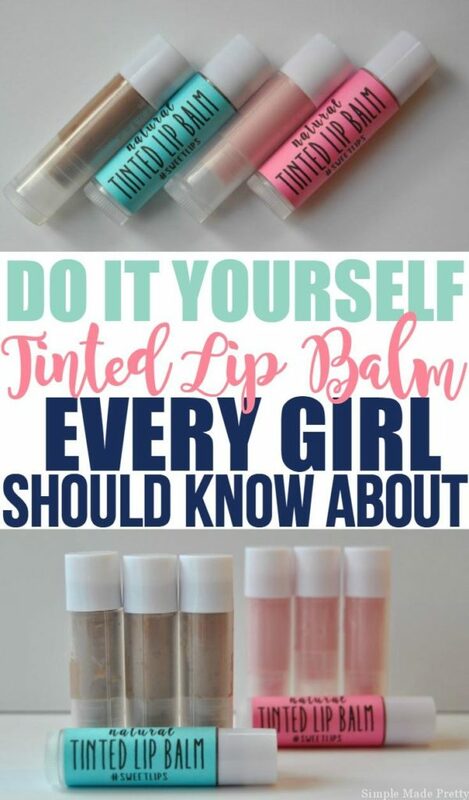 Attach labels to lip balm containers. Get creative with the scents! I used Vanilla and Orange Essential Oil in the brown lip balm. I used Grapefruit Essential Oil in the pink lip balm. Of course, my daughter wanted both colors after I made these 🙂 Keep in mind these will not show up very dark when applied to your lips. I don’t like dark color on my lips so these add the perfect amount of sheen and a bit of sparkle from the mica powder. 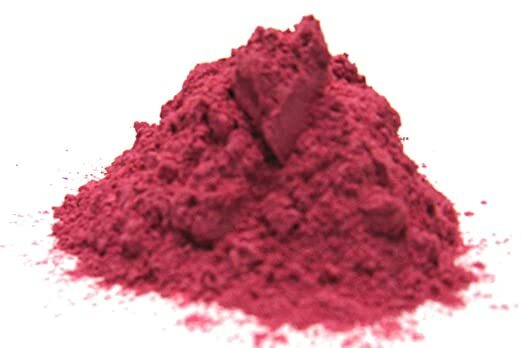 If you don’t have mica powder, you could try Bare Minerals powder. Get the Printable Lip Balm Labels + 49 more recipes and labels in my eBook, 50 Easy All-Natural Skin Care Solutions Using Essential Oils. Or sign up below and I will send you my FREE mini eBook with 5 All-Natural Skin Care Solutions Using Essential Oils with printable labels for 5 different DIY skin care solutions. How much Mica powder did you use and when didn’t you add it to the mixture? Hi Bonnie, I added the mica powder until I reached the desired color. I don’t like dark pink lip balm, so I didn’t add very much. I suggest adding it little by little until you reach the desired color.